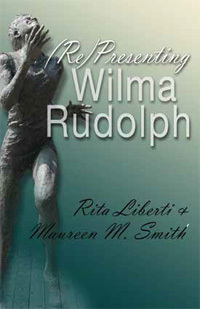 (Re)Presenting Wilma Rudolph. By Rita Liberti and Maureen M. Smith. Syracuse, NY: Syracuse University Press, 2015. Few human endeavors so thoroughly blur reality, legend, and imposed meaning as sports. The sports hype machine constantly bombards the public with instant stars, but what do we know about them beyond the carefully crafted profiles with which we are presented? That’s precisely the question tackled by California State University professors Rita Liberti and Maureen M. Smith. By virtue of winning three gold medals at the 1960 Rome Olympics, track star Wilma Rudolph (1940-1994) became the most famous black female athlete of her generation–so famous that only Althea Gibson is mentioned in the same breath. Such was Rudolph’s renown that she was lionized even in her hometown of Clarksville, Tennessee, located within what was still the Jim Crow South. The authors’ goal is to probe “the meanings attached to the stories” (1) told about Ms. Rudolph, and the thesis is embedded in the clever title: Rudolph has been presented and re-presented to the public numerous times, usually by constituencies appropriating Rudolph to advance particular agendas. But, of course, Rudolph was black, and her skin color was just one of many things “dislodged” in crafting her image. Her daughter often appeared as her “sister” in official photos, and stories of Rudolph seldom emphasized her civil rights activism or her post-Olympics financial challenges. Especially glaring by its absence is a nuclear family narrative that harped upon her moral decision to marry her child’s father, but doesn’t mention her earlier failed marriage. Re-presenting was so powerful that Liberti and Smith suspect that even Rudolph’s autobiography was mediated. They explore also how Rudolph is configured in biopics, children’s literature, and material culture ranging from monuments and postage stamps to her own tombstone. (Re)Presenting Wilma Rudolph is an impressive portrait of what we see and what we don’t in celebrity culture. 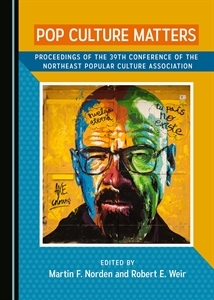 The authors draw upon the latest research in areas such as memory studies, critical race theory, literary analysis, and various cultural frames, including commemoration, constructing public spaces, Otherness, body imagery, and media content analysis. Their prose flows easily and their logic is compelling. There is, however, room for improvement should a second edition appear. Although Liberti and Smith are vivid writers, the same cannot be said of many of the postmodernist theorists they quote. Sadly, historians (Liberti) and others—Smith is a kinesiology professor—have begun to adopt cultural studies language at a time in which many humanists have soured on its ponderous prose. Liberti and Smith use theory wisely, but it would have been better had they summarized ideas in their own lucid prose rather than marring the text with clunky quotes. There is also a lot of repetition that could have been judiciously excised. That said, we are indebted to Liberti and Smith for a book that’s much more powerful than standard sports biographies. This work shows what is sacrificed in America’s quest for sports heroes—in this case, substantive engagement with racism, economic justice, gender equity, and the right to inhabit one’s own story.